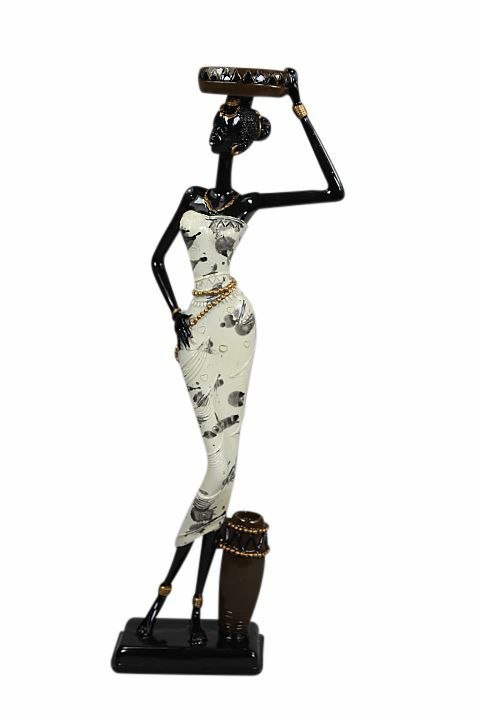 Aladdin black African lady carrying a calabash on head and measures 12.5"xH. 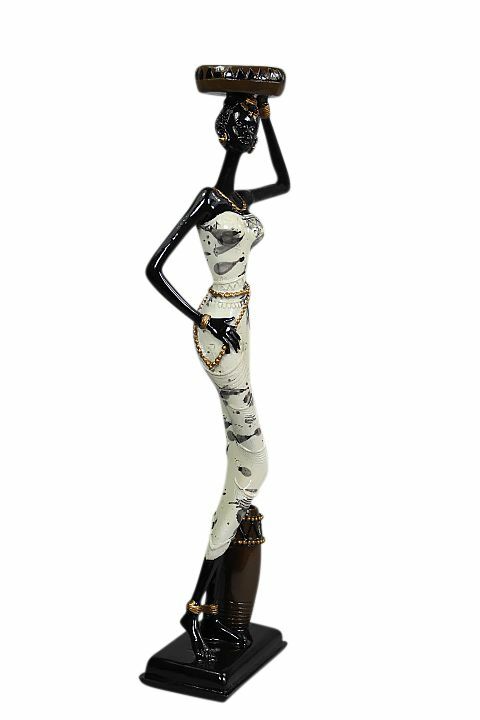 African lady is made from resin and dressed in ivory wrapper and bronze accessory. Made in Indonesia.